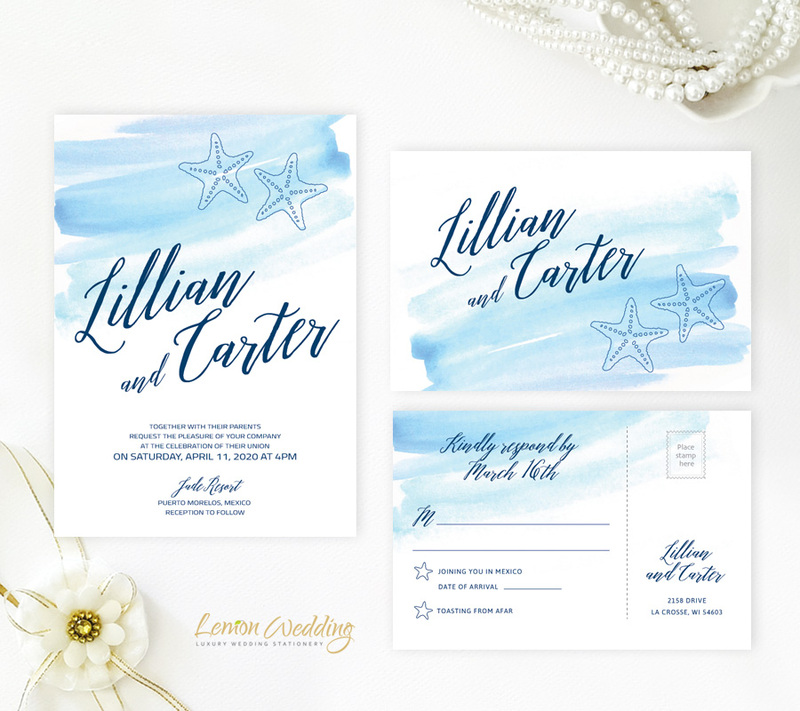 Gather your guests together for your upcoming seaside wedding with our Beach Wedding Invitations. 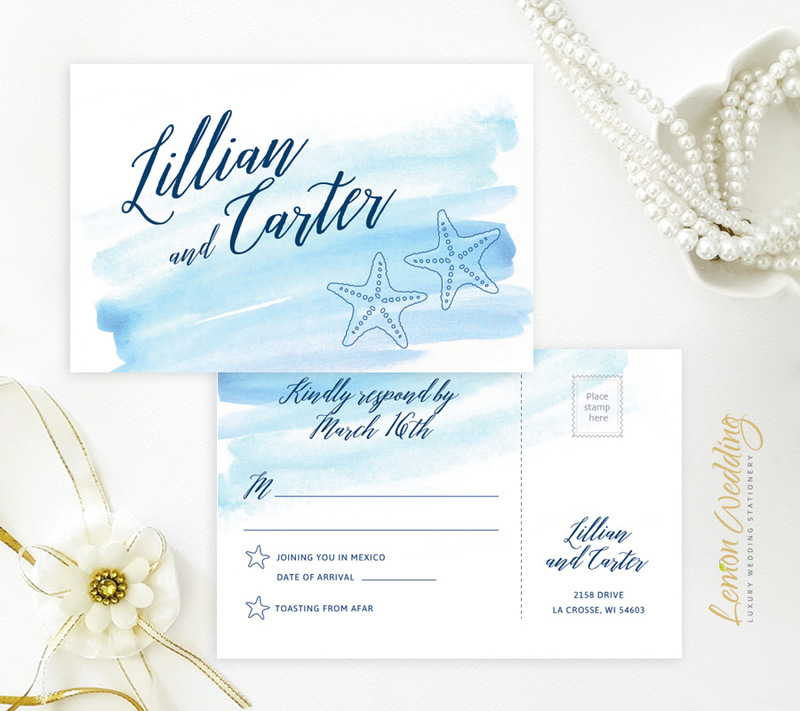 With a soft watercolor background, our invites are finished with starfish artwork along with the date and location of your wedding. 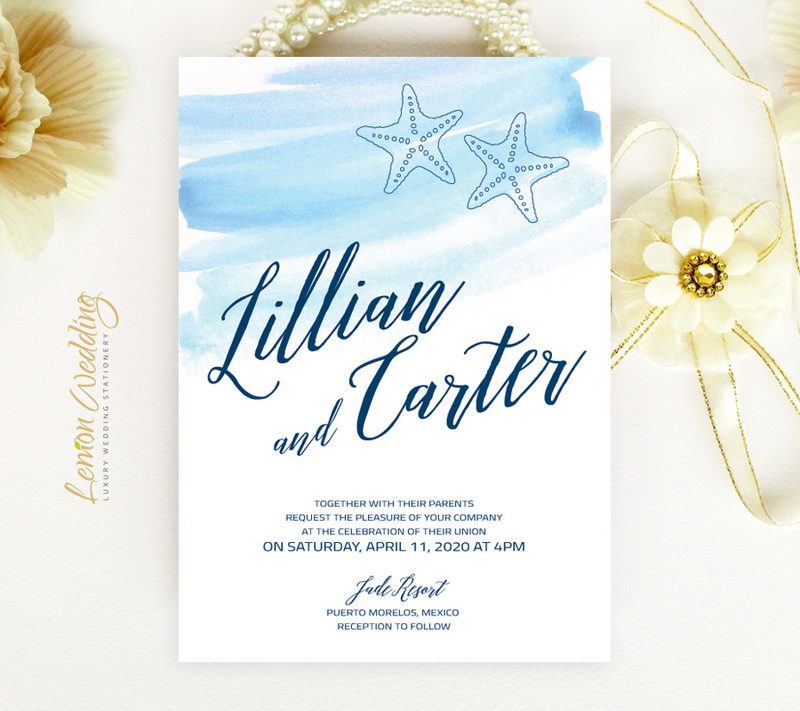 Our destination wedding invites are printed on white premium paper for a high-end finish.